On Saturday, September 19, local band AcoustiHoo will be playing at the Menomonie Library. 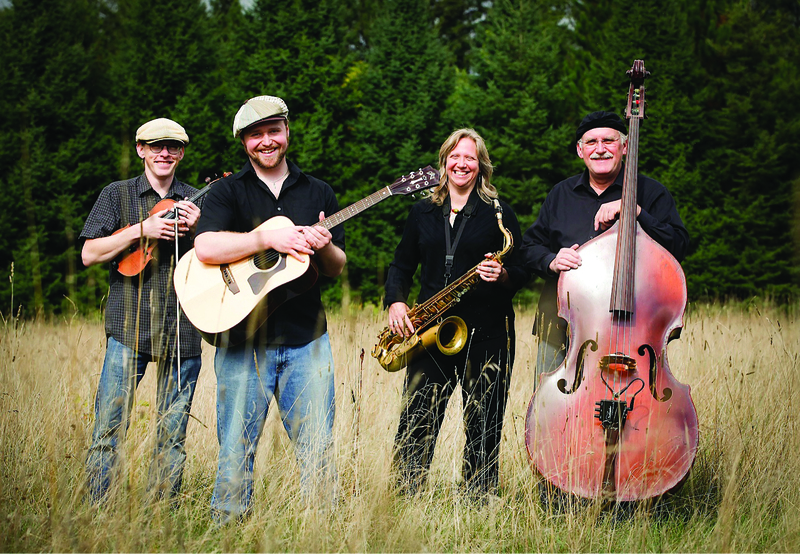 The Eau Claire-based quartet boasts a diverse set of styles ranging from blues, gypsy jazz, and folk. Tinges of Americana and world music are also found within the group’s sound. AcoustiHoo is lead by saxophonist Sue Orfield. Accompanying her is Lucas Fischer, Olaf Lind, and Randy Sinz. “I’ve been into bluegrass music and stringed/acoustic instruments for a long time, and I decided to put together a group that would surround me with that sound.” Said Orfield. The band’s members are deeply involved with music. This is especially true for double bassist Randy Sinz. A unique dynamic that the group possesses is the ability to play together from very different backgrounds. However, they’re still able to produce a sound that is strongly cohesive and immediately identifiable. Catch AcoustiHoo showcase their diverse soundscapes at the Menomonie Public Library on Saturday, September 19 from 2:00-3:30pm.